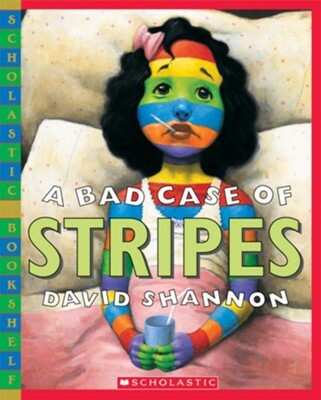 David Shannon is the internationally acclaimed creator of more than thirty picture books, including NO, DAVID!, a Caldecott Honor Book and his second NEW YORK TIMES Best Illustrated Book of the Year. In addition to three more David picture books, Shannon’s bestsellers include TOO MANY TOYS; HOW GEORGIE RADBOURN SAVED BASEBALL (newly released in 2012); A BAD CASE OF STRIPES; DUCK ON A BIKE; ALICE THE FAIRY; and GOOD BOY, FERGUS! A native of Spokane, Washington, he is an avid fisherman. He and his family live in California. I'm the author/artist and I want to review A Bad Case Of Stripes.